Treat yourself to Georgia’s most exquisite vacation getaway at Stone Mountain Manor! We offer two room types to choose from: Manor Guest Room and Manor Guest Room with Spa. 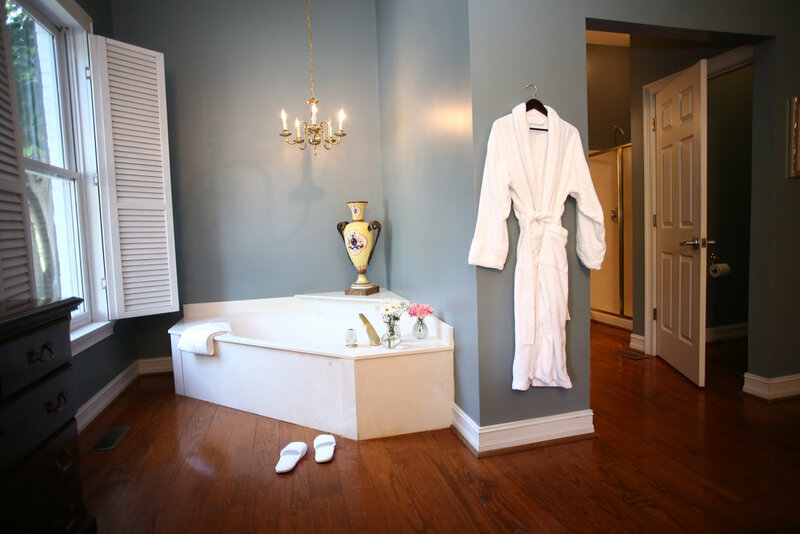 Inside our boutique hotel, you’ll find seven oversized rooms with a king bed and your own master bath. All guest rooms include luxurious amenities such as a flat screen cable TV, mini fridge, Bluetooth alarm clock, plush linens, complimentary gourmet breakfast , Wi-Fi internet and premium bath products. We don’t blame you if you don’t want to leave.